At some point during your third week, you’re going to pass by some football players in front of the Nest selling tickets to Homecoming. I’m here to tell you that you should go up to them and buy a ticket or two. Or, head online to buy your tickets anytime. Why? Because whether you’re a first-year student or are in your 4th or 5th year and have yet to go, Homecoming is awesome. It’s not called Homecoming because it’s welcoming the Thunderbirds football team home. It’s also not named after the most recent Spiderman movie—they stole that from us. It’s actually called Homecoming because it’s welcoming alumni from UBC’s decades of history back home. In the stands, you’ll see Thunderbird fans and alumni who graduated 20, 30, 40 years ago…all back to cheer on our team. Homecoming brings generations of UBC grads and students together to celebrate their time here and their contribution to the fabric of UBC. First off, same. Second, it really doesn’t matter. You don’t need to know how many downs it takes to complete a throw or the conversion rate between quarterback and fullback—there’s a lot more to this sports game than meets the eye. 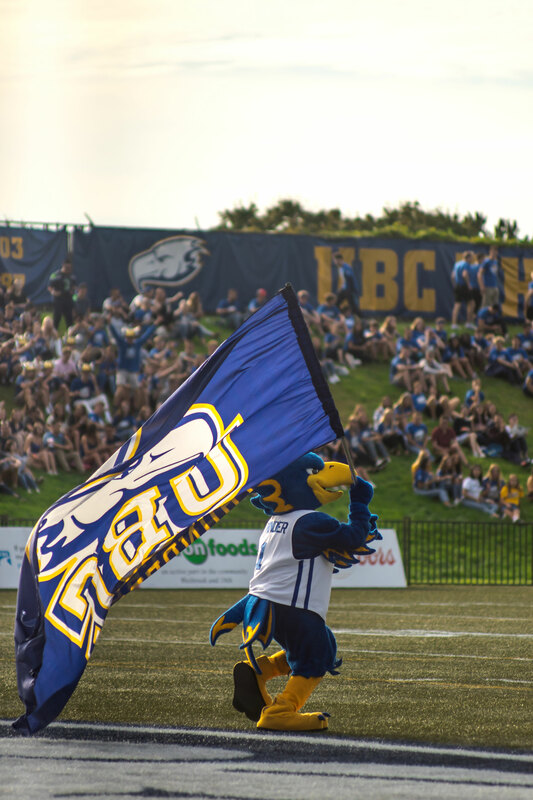 On Sep 19, the Wednesday before the game, there’s a pep rally on the plaza in front of the Nest and Alumni Centre. Come with some friends, meet some athletes—and you can pick up your ticket there. Hmm…that sounds fun. Is there stuff like that on the actual day? The fun doesn’t end on the 19th. 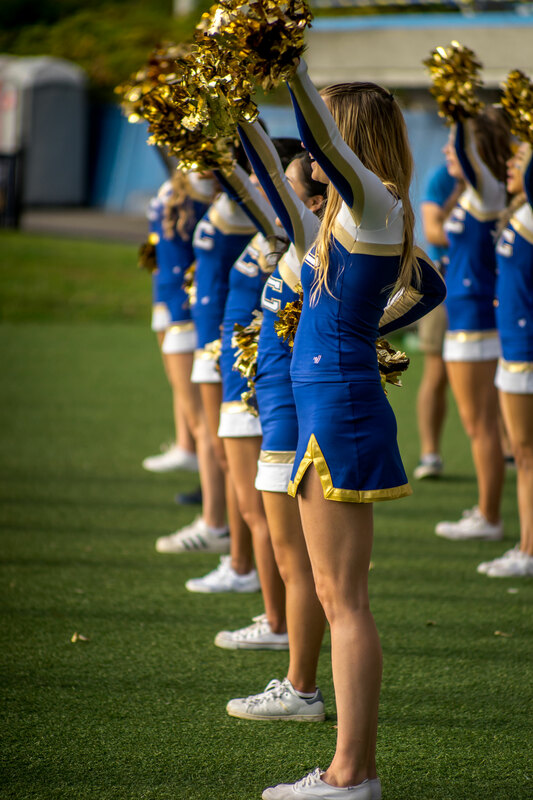 On game day—Sep 22—you can meet up with hundreds of T-bird fans outside the Alumni Centre for the Great Thunderbird Trek over to the field. 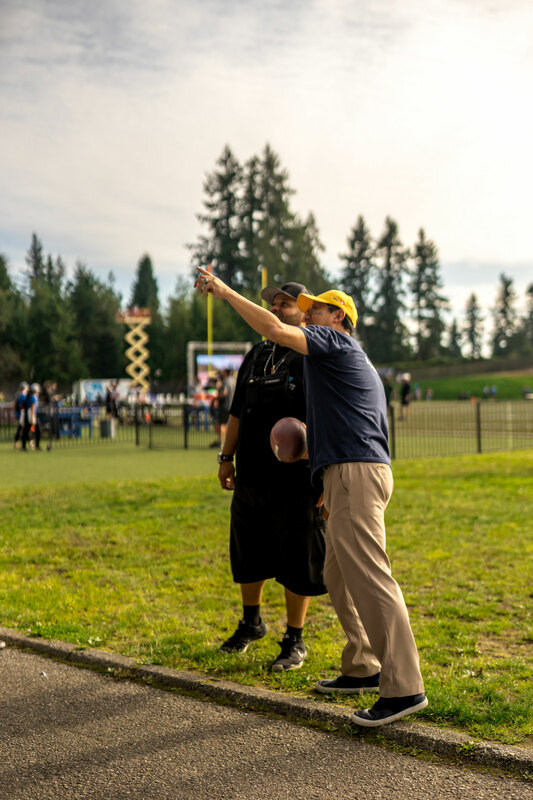 Meet up with the crowd anytime along the way in your best blue-and-gold gear. You’ll end up at the Homecoming Street Party, which happens before the game starts. Grab a drink (if you’re of legal age, of course), listen to some sweet live music, shame your friends who didn’t wear any blue or gold, and grab some free swag from sponsor booths. With so much going on, it’s no wonder the event sold out early last year. Be sure to get your tickets soon. And, of course, if you are a sports fan, then you definitely have something to look forward to on the day! Tickets. Are. $7. For. Students. 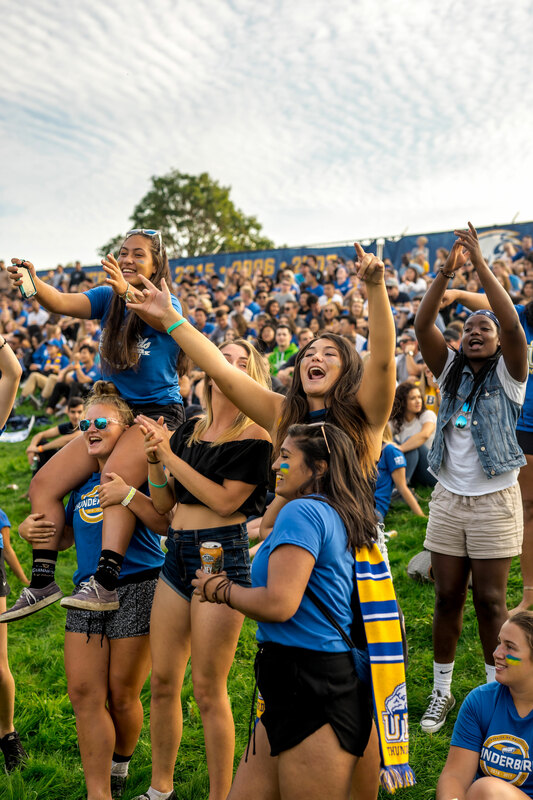 As a UBC student, you are part of a community that comes back year after year to enjoy the game and connect with 10,000 UBC Alumni. Start your yearly tradition of going to Homecoming now so when you’re 35 and have 2 kids, they can tag along and see the place you used to (and maybe still do) call home.